The world is their greenroom. If bluesy rock'n'roll is your cup of tea, then we hope you've gotten your hands on The Delta Saints' latest LP, Monte Vista. The fuzzy, psychedelic guitar riffs on the album's vanguard track, "California", wrap themselves around its listeners, setting the tone for the nine songs that follow. The gems found on this genre-spanning project have been on heavy rotation in our office, especially the album's latest single, "Are You". 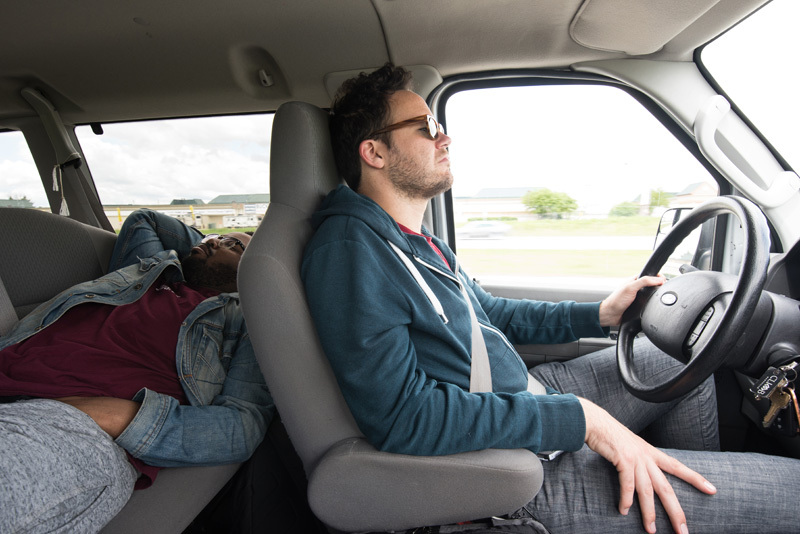 Band members—Ben Ringel (vocals & guitar), Dylan Fitch (guitar), David Supica (bass), Vincent Williams (drums), and Nate Kremer (keyboards)—recently hit the road in support of its release, traveling everywhere from Pittsburgh to Washington DC on their headlining US tour. If you haven't caught the Nashville rockers on this run yet, we highly suggest doing so before it wraps on June 22 in Fayetteville, Arkansas. 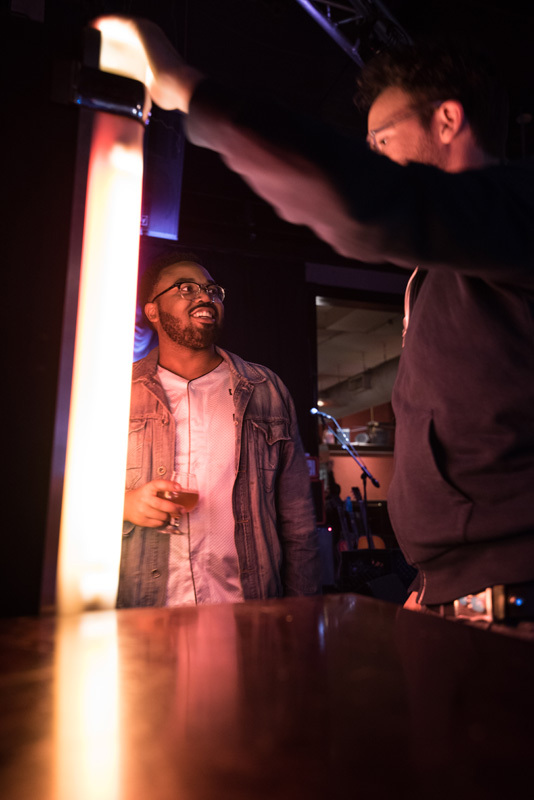 The five-piece documented the first leg of their travels for Bandsintown, showing us exactly what goes on behind-the-scenes a typical show for The Delta Saints. 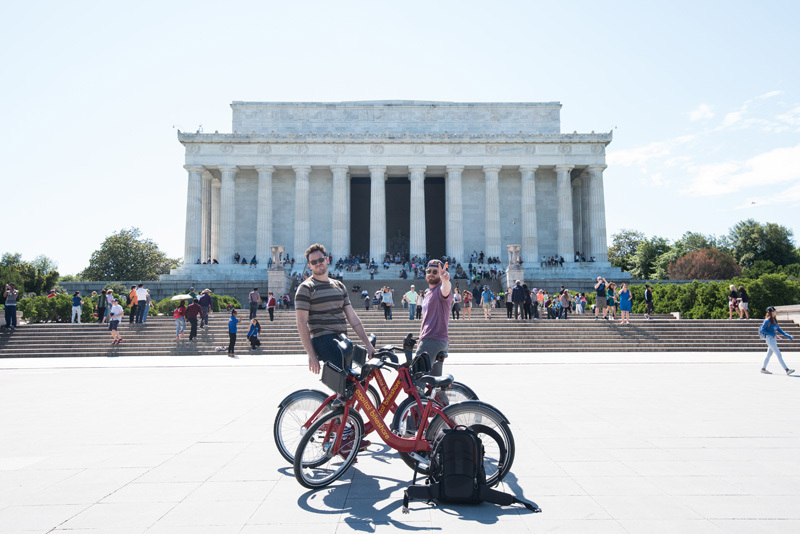 From van snoozes to vintage shopping to bike rides around the nation's capital, check out all the photos below, then make sure to track the "Sun God" performers to get notified when they'll be in a city near you! Not sure if it’s Stockholm Syndrome or more of a Pavlov’s Dog type of thing, but after spending years in our van it’s become our home away from home. It’s pretty much guaranteed that within 15 minutes of starting a drive, at least three of the five of us will be asleep. There’s always a healthy amount of bitching and moaning before a long tour spent living in this thing, but when the day comes, everyone pleasantly jumps into their bench, organizes their things, and falls into the rhythm. The pre-show music is almost as important as the actual show. It can get you hyped to see your favorite band, or it can totally kill the mood before anything even starts! How many times have you gone a show, and the house is bumping John Denver just before a rock'n'roll show starts? The MOTR Pub in Cincinnati did it right with an open jukebox full of funk. This picture was taken just before Vince and David started playing air-bass with Bootsy. Shrimp curry and thrift shopping in Columbus, OH. One of the byproducts of traveling so much is that you start to get to know the neighborhoods of cities that you’ll never live in. Columbus has become one of those cities. There’s an unspoken schedule of things that we want to do in the 18 hours that we typically get to spend there. The morning after always starts with Rag-O-Rama for some mid-tour clothing replacements and Cornerstone Deli to help kill any part of the night before that might still be hanging on. Mirrors in bars are always weird. So is having a camera in one. 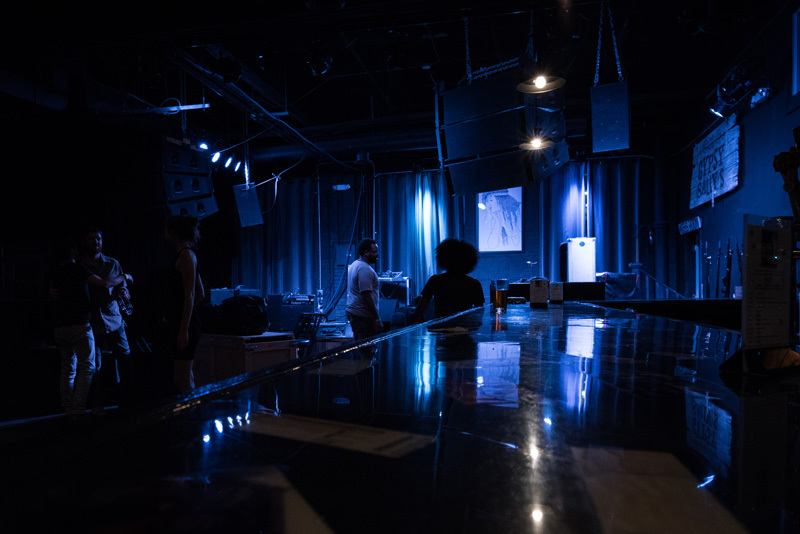 This was pre-show at the Club Cafe in Pittsburgh. Learned some valuable things that night, such as: they take their NHL playoff games seriously and sometimes a bartender needs their own therapy sessions. Packing up in DC—the unsexy part that VH1 never included in the propaganda that hooked all of us. The load-out process always takes five times longer than the load-in, and the culprit(s) is/are ever-changing depending upon a myriad of factors. This night was to be blamed on IPAs, old friends, and Kale salad. 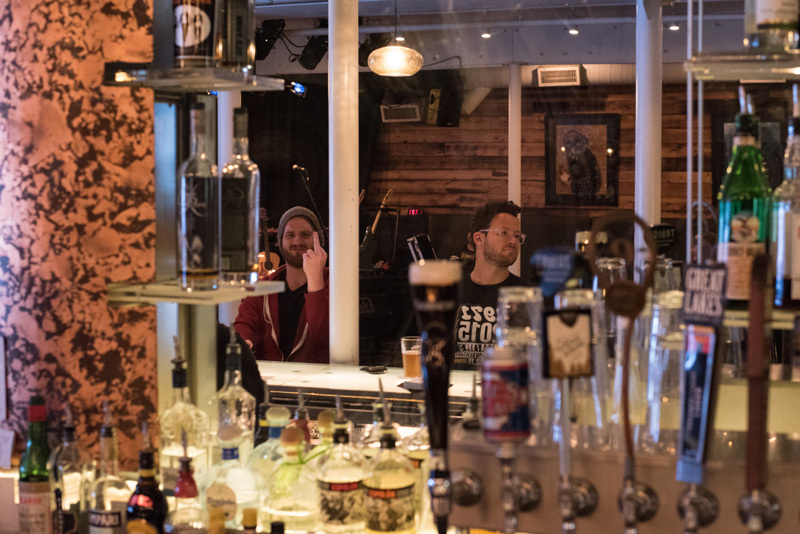 If I recall correctly, the bar staff were less than stoked. Sorry for partying. 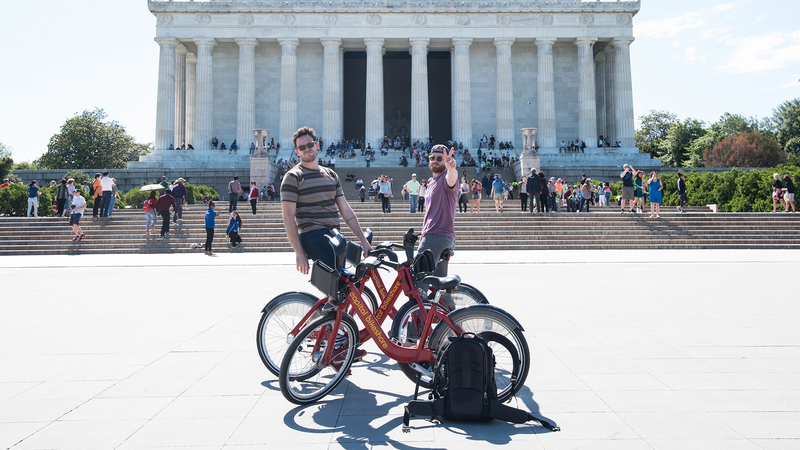 Cardio in the capital city. DC’s a crazy place. One close call with a speeding car, one pissed off Park Ranger, and only five family pictures ruined by riding through the frame. 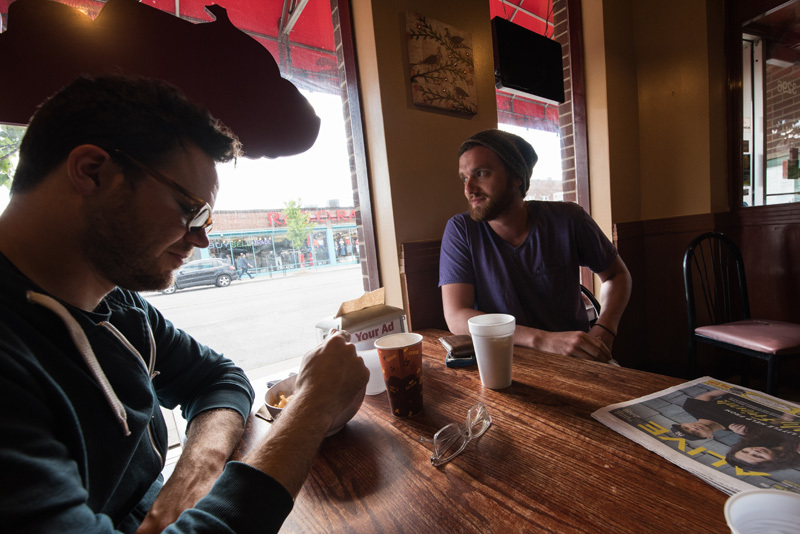 It’s surprisingly difficult to find quiet moments to really be creative when we’re out. There’s always something to do, or a group of people around, or in this case someone with a camera. 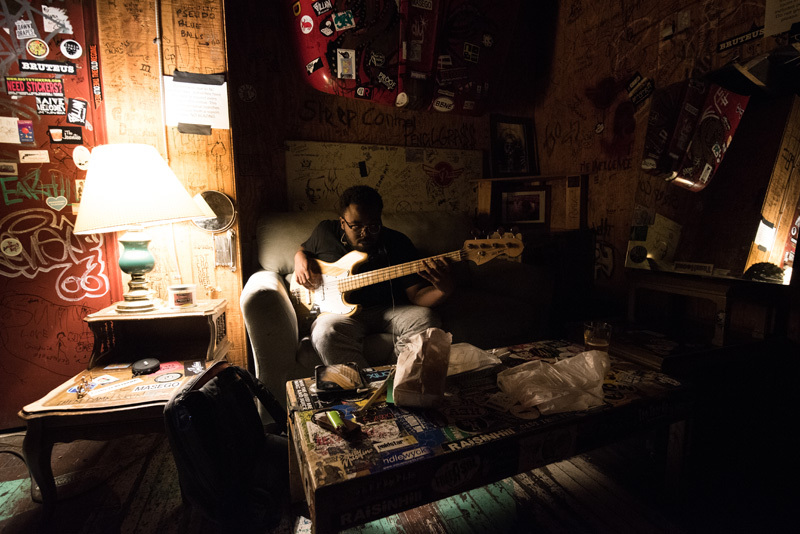 Here's Vince (drums) spending a few quiet moments before that night’s show in Raleigh working on his bass chops. After a while, modesty kind of disappears when you’re on tour. You just get used to changing in busy parking lots, feeling strangers judge you for that particular day’s choice of underwear. The world is your greenroom. Eat your greens. Tour is like that first week of college when you’re living on your own for the first time. You survive on beer, pizza, and a solid three-hour sleep schedule. By the second week, you feel like sh*t, and your entire life feels like it’s going to collapse inward. At that point, you either build a tolerance and tell your body to shove it, or you develop a sustainable rhythm. Not at all saying that we’ve figured out any sibilance of a healthy lifestyle while on tour, we just try to eat a few salads a week, and drink water at the beginning and end of the day. It’s adult spring break. 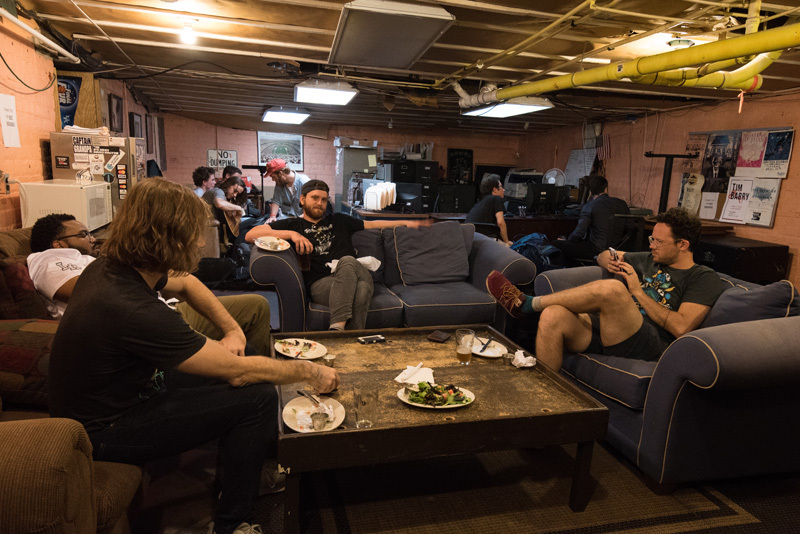 Here, we’re in the basement of The Camel in Richmond, VA with a few of the other acts on the bill, trying to look like adults enjoying a nice garden salad. Love Letter or Set List? 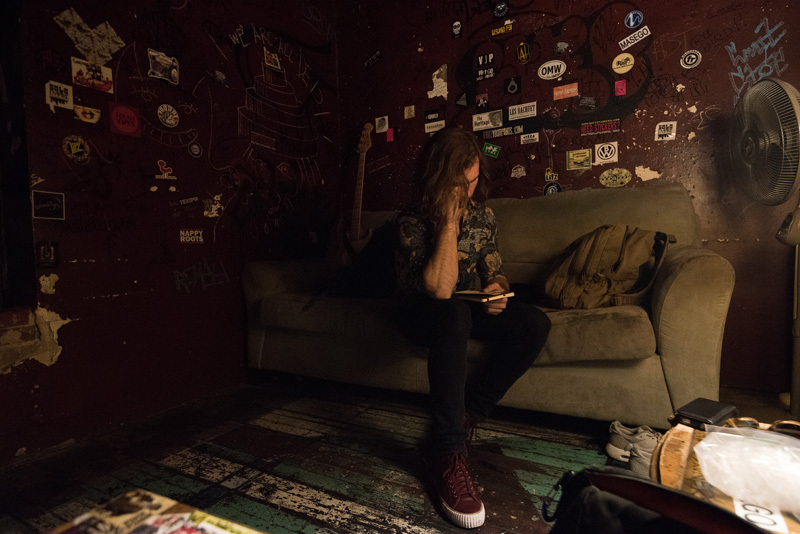 Dylan writing the set-list a few moments before we hit the stage at The Pour House. Handwritten set-lists are always an adventure and are usually on paper plates, napkins, or pizza boxes when in a pinch. 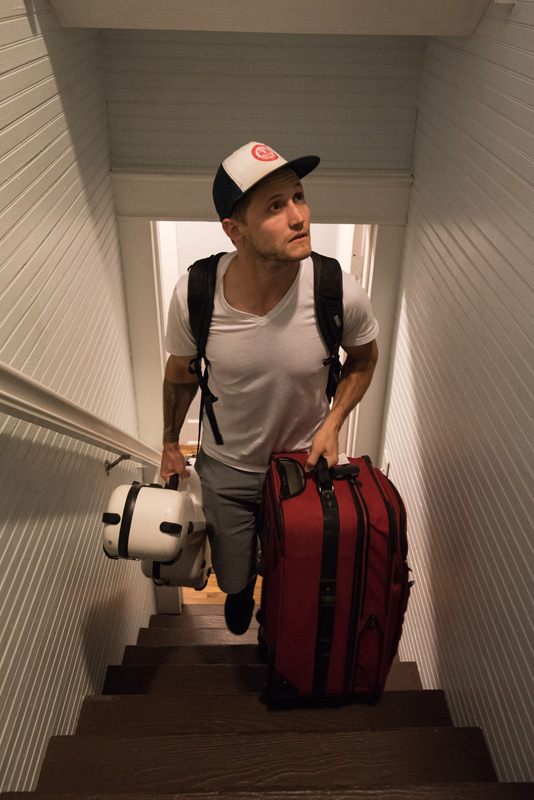 The best feeling in the world is dropping your bags in your own house after a tour and realizing that you won't have to furiously repack them in the morning because you’re seven minutes late for lobby call.